Whalley Range 11-18 High School scooped up the ‘Healthy Living Award’ at the prestigious Manchester Schools Awards for 2017. 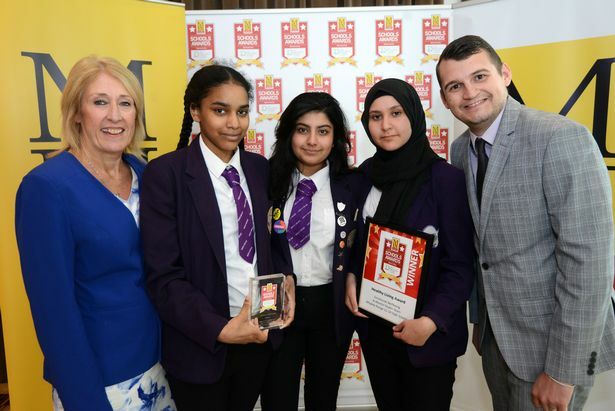 The third Greater Manchester Schools Awards, in association with The Manchester College, was another roaring success with recognition given to schools all over Manchester for a whole host of categories including; Class of the Year (previously won by Whalley Range in 2015) and School Communication Award (which we were also a finalist, in 2014). We were delighted to be awarded the ‘Healthy Living Award‘ this year for our emotional wellbeing programme. We believe that mental wellbeing is equally as important as physical wellbeing and that without a positive mental health and the skills and abilities to manage emotions, young people will neither achieve their best academically nor be prepared for their role as positive citizens in society.